Get started with OptimumHQ by watching our Build It series. Follow along while watching the three videos to build your own time off request system on the OptimumHQ platform in only 30 minutes – no programming required. Are you a current customer looking to gain more insight into the inner workings of OptimumHQ? Join our monthly in-person training sessions at the OptimumHQ office in Mesa, Arizona, or join a virtual training session. 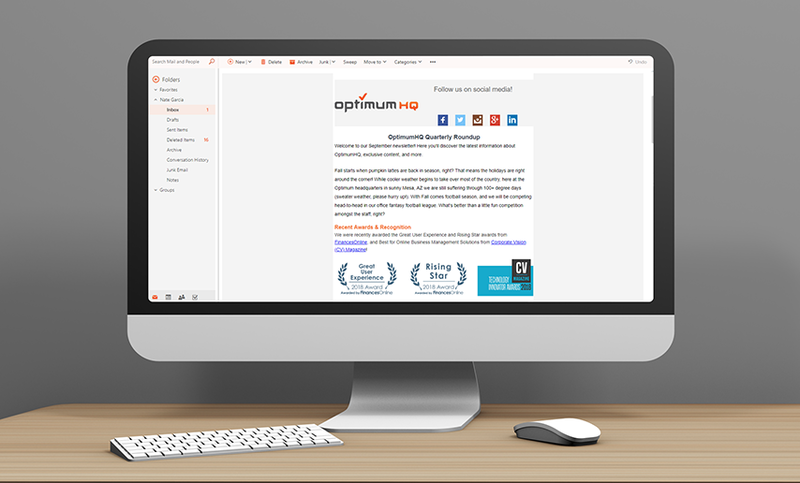 Sign up for the OptimumHQ newsletter to stay updated on the latest info and features. Don't worry, we'll never spam you or sell your information. Fill out our Contact Form to sign up.